*Electronically reproduced here with permission. This book is dedicated to my new daughter who has taught me so much about being brave and true to oneself. I want to thank all those who helped make this book possible. My mother Clela Fuller Morgan who did much of the typing and organizing of the stories. Thanks to all my children for making my life interesting. Thanks to the Writing Center. Thanks to my friends who listened and encouraged me: Tom, Lorne, Susan, Caroline, Walter, Dawn, Kelly, Karry, Serena, Hallie, Elena, Janine, Dave, Andrew, Jenna, Joyce, Brent, Michelle, Nicole and too many others to name. I also want to thank those special people who stood by Danielle and helped her through this new part of her life: My sister, and Denise, Laura, Miguel, Gloria, Diane, Danica, Joe, Joni and the members of the New Images cast. You are about to read a rare true story about a young boy who received a kind of help from his mother that some children need, but almost none receive. Danial should have been born a girl. In these pages, you will meet Daniel's father who believes that sexual reassignment is against God. You'll follow the fencing matches with bureaucrats, and the contest of wills with councilors whose skills are so often limited to dream-obstruction and fee collection. Most importantly, you'll read how Daniel's courageous and superbly understanding mother helped Daniel to become the charming, irrepressible Danielle, despite a globe full of minor tyrants, tunnel vision functionaries, buffoons, finanancial opportunists, and misguided do-gooders trying to prevent it. I have finally met Danielle now 19, after having heard and been entertained by her exploits every week for months during my electrolysis sessions with her mother. I am deeply impressed. Danielle's fitness for life as a teenage girl and success at it, as well as her happiness and maturity bring glad, wistful tears to my much older eyes--wistful, because I, too, am a transsexual. 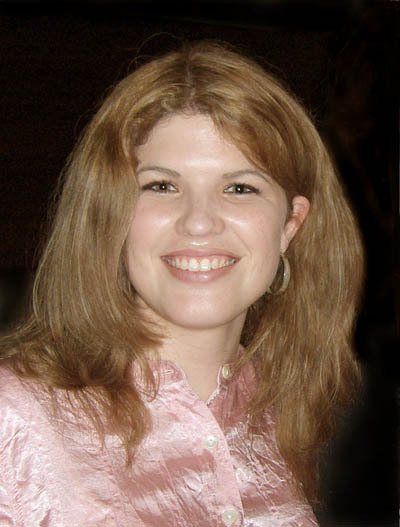 I lived through Danielle's childhood experiences of having the wrong body, but because I grew up in teh 50's and 60's, and because of the less communicative, sexually repressed atmosphere of my family, I had to go through full male puberty, attend male gym classes, deal with bullies, and miss out on many years of shopping and dating. I hit every stump, bramble bush and pothole that waits for us folk who hack our way along the wrong road of life. But it's 1998 now, and things are changing. Danielle's experience is one of the first in what promises to be a new and better era for people like her and like me. 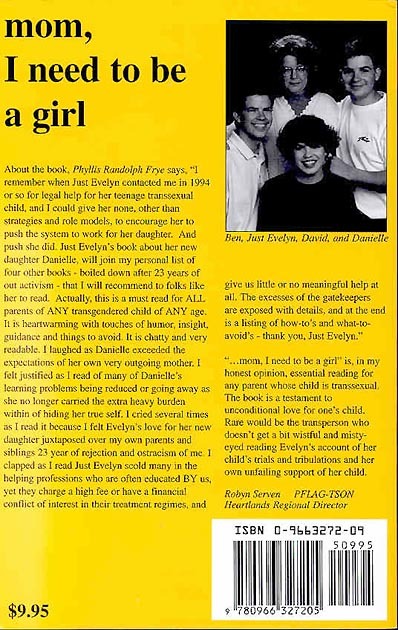 About the book, Phyllis Randolph Frye says, "I remember when Just Evelyn contacted me in 1994 or so for legal help for her teenage transsexual child, and I could give her none, other than strategies and role models, to encourage her to push the system to work for her daughter. And push she did. Just Evelyn's book about her new daughter Danielle, will join my personal list of four other books - boiled down after 23 years of out activism - that I will recommend to folks like her to read. 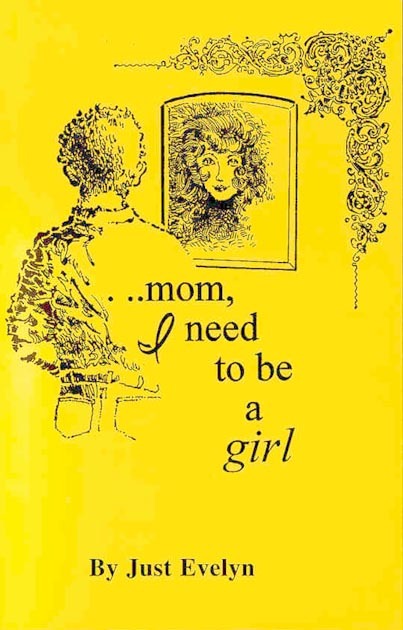 Actually, this is a must read for ALL parents of ANY transgendered child of ANY age. It is heartwarming with touches of humor, insight, guidance and things to avoid. It is chatty and very readable. I laughed as Danielle exceeded the expectations of her own very outgoing mother. I felt justified as I read of many of Danielle's learning problems being reduced or going away as she no longer carried the extra heavy burden within of hiding her true self. I cried several times as I read it because I felt Evelyn's love for her new daughter juxtaposed over my own parents and siblings 23 years of rejection and ostracism of me. I clapped as I read Just Evelyn scold the many in the helping professions who are often educated BY us, yet they charge a high fee or have a financial conflict of interest in their treatment regimes, and give us little or no meaningful help at all. The excesses of the gatekeepers are exposed with details, and at the end is a listing of how-to's and what-to avoid's - thank you, Just Evelyn." See also Lynn's Home Page.